On the planet of the mile-high Yumi trees, only a few lucky boys and girls may fly bats to the treetops to harvest the fruit. Matthew John would like to join them, but to make his dream come true he must enter the cave of Oomba the lion. We will send Bat Rider and the Cave of Oomba to your Kindle at . 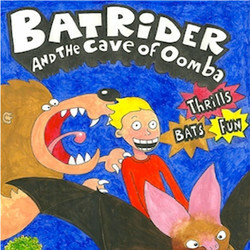 Bat Rider and the Cave of Oomba has been sent successfully to your Kindle!